Preparations at their height for the Juniper Falcon exercise, which aims to deepen cooperation between the two militaries. The Juniper Falcon 19 exercise is slated to begin next week, which is this year's main US-IDF exercise. The exercise will be held between the 10th-14th of February. Preparations for the IDF and US exercise started a few months ago, with the final preparations taking place in the last several weeks. 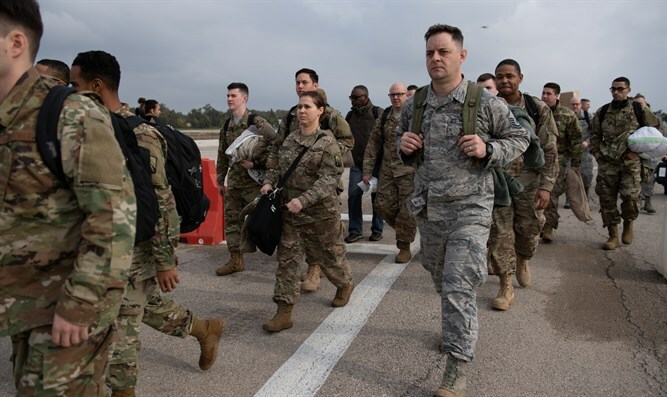 Preparations included the deployment of infrastructure and logistic preparations for the reception of American forces in Israel. Juniper Falcon's purpose is to strengthen the robust and agile partnership, coordination and mutual learning between the two militaries while improving the readiness to defend against various threats in numerous theaters. The IDF says that the exercise strengthens the deep strategic cooperation between the militaries and the two states. Participating in the exercise are over 300 American servicemen and women and around 400 Israeli soldiers. The participating IDF soldiers belong to various different units, including the Air Defense Array, the Planning and Operations Directorates and logistic and medical units.